Boundary—As we all know is a dividing line, a border line that separates the two areas, a line that limits, restricts or controls movement from one side to other. In our daily life we come across several such boundaries & these can broadly be classified as physical & imaginary. Physical boundaries are clearly visible to us & we all are very well aware of the fact that which ones we can cross and how? But, what I want to focus here on are the “Imaginary” or “Invisible” boundaries. These are the ones which we cannot see but we need to identify them by feeling them. For instance, if we look at ourselves, we will realize that we have formed some boundaries around us. Our near and dear ones stand on one side of this & strangers & acquaintances stand on the other. In fact, there are several boundaries and depending on the level of intimacy we allow people to enter those boundaries. Same goes, when we deal with others. Everyone has a well protected personal space & a defined distance that they want to maintain with a particular person. We need to judge this based on our relation. 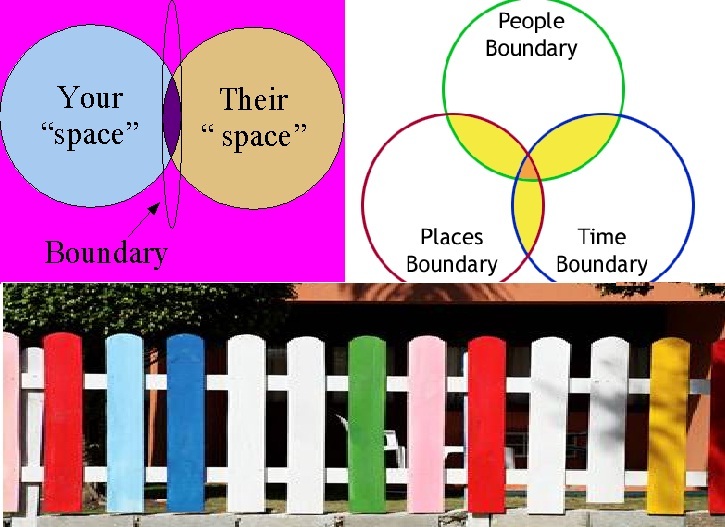 If we try to pass the undesired boundary/ line of limit i.e., if we try to move more close, we may appear to be interfering in their personal space. Also, if we try to maintain too much distance, it seems we don’t respect the other person’s closeness for us. In short, if we don’t identify the limits in a justified & desired manner, conflicts may arise. And now moving on to the most difficult of all boundaries….those boundaries which if not identified may land us in big troubles. Believing is good…Superstition is not.. But, how shall I draw a boundary line between above…they are so near…yet so far… How can a normal human like me…draw a distinction line …? Looking forward for answers, suggestions, views, opinions that may help me recognize the line. This entry was posted in Life and tagged cartoon, comics, FAITH, family, friends, Inspiration, Life, lifestyle, love, Philosophy, quote, Random, Random, Thoughts, trust by Akanksha. Bookmark the permalink. Thanks a lot Samruddhi..!! Its nice to know you liked it. a very matured way of explaining and defining boundaries. I think the way you have written is very simple and self explanatory. Hats off. Hi … I am based at Delhi & Thank you for your kind words ..
if no boundaries than no limits, if no limits than everything will be vague and intangible… so you see, drawing line somewhere means you just want to stop there and don’t want to explore…. when you have boundaries, you have attachments, attachments create expectations, expectations causes anxiety, anxiety causes all the problems for you… why? The point is not How to draw the line, but where to draw the line…. Well, I would say , living freely without boundaries would have been good, but what I feel is if we don’t draw a limiting line we tend to have attachments & expectations. And, these become the root cause for hurting us if things don’t move the way we expected. Would like to add on “And WHEN to draw the line…”. Sometimes, we are too late to understand, to act & to react … So, I feel right time also matters. Hey…I truely agree that giving happiness to others is the best thing we can do ..
And, I can remove boundaries surrounding me…and let people trust me. But, what I am worried is the other way round i.e., when I start trusting too much & get to know later that they were taking undue advantage of me & my feelings. I just feel like having that vision which can help me recognize who is worth trusting? Yup…sure.. if there is understanding… everything else follows automatically. Only, thing is we shall not be impulsive in making judgments…every foundation needs time & so is understanding and trust. Very true!!! Loved your post…. Boundaries are just fine lines you must balance to walk upon when you walk along them. Yes, balance is must & I feel if we can maintain this balance we can deal with the boundaries wisely. Thanks for sharing your views. Good post ! Defining boundaries and maintaining them in personal relationships is critical to success and happiness . Thank you for stopping by leaving your comments. Thanks for this wonderful, and well-timed (for me) post. I got all riled up this morning because someone I do not want in my life sent me a letter. I was so angry – how can they do that, don’t they have any boundaries, don’t they know….? Right there, I had crossed a boundary, assuming I was inside their head and that they should know what I am thinking. I have a choice to respond or not. If I do not want them to contact me, then I should reciprocate and not keep the conversation going. Boundary. Right there. Thanks for helping me clarify in my mind! Your quote from Henri Nouwen (one of my faves!) really hit home for me. If I don’t lay down boundaries, how can i expect others to recognize them? I don’t agree w/ the don’t trust, don’t love, and don’t hope too much. 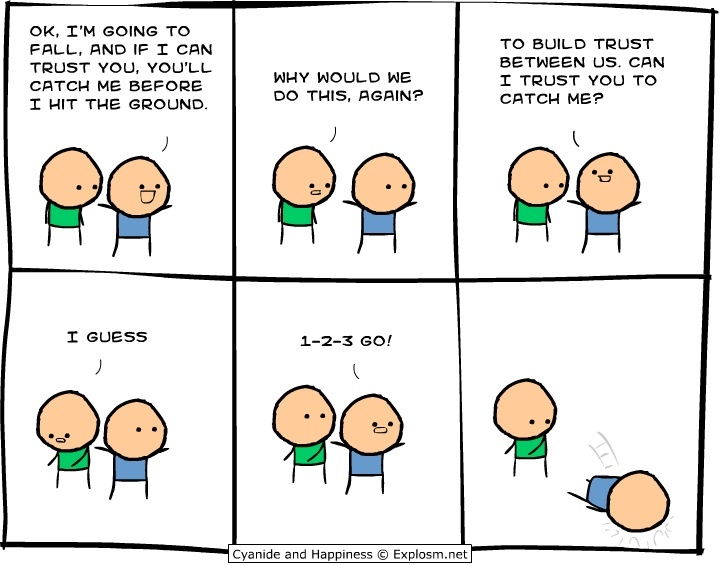 It is who or what you are trusting in, and – as you say – when. You can never love “too much,” you can just love in an unhealthy, over-attached way – without boundaries. You can never hope too much, but only hope in the wrong things and the wrong people – the ones that will let you down. Trust is harder for me to see clearly. I struggle with that, because I used to hope in the wrong things/people and am still recovering! Blessings – thanks for the post, and for the follow and likes on my blog. I really appreciate them. Its nice to know that this post helped you defining your boundaries. 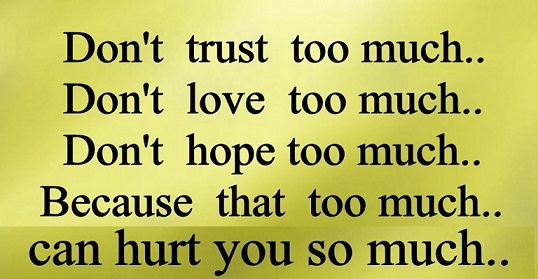 And, i totally agree with what you say on too much love, too much hope & too much trust. If, we can read & understand the person correctly & if its with right person & at right time, there is no limit for too much & you will never regret, The only thing we have to careful about is that we don’t put in that “too much” with wrong people. Infact, I now feel that “too much” shall be replaced with “blind”. We shall not love/hope/trust blindly. We shall have that vision which helps us recognize who really deserves to be in this category. Thanks a lot for reading & commenting on this stuff & for all the blessings & appreciation you gave. Wish you too a happy & blessed time ahead! !